Dry chutney podis are such a help in situations when I plan to skip preparing curries or side dish. 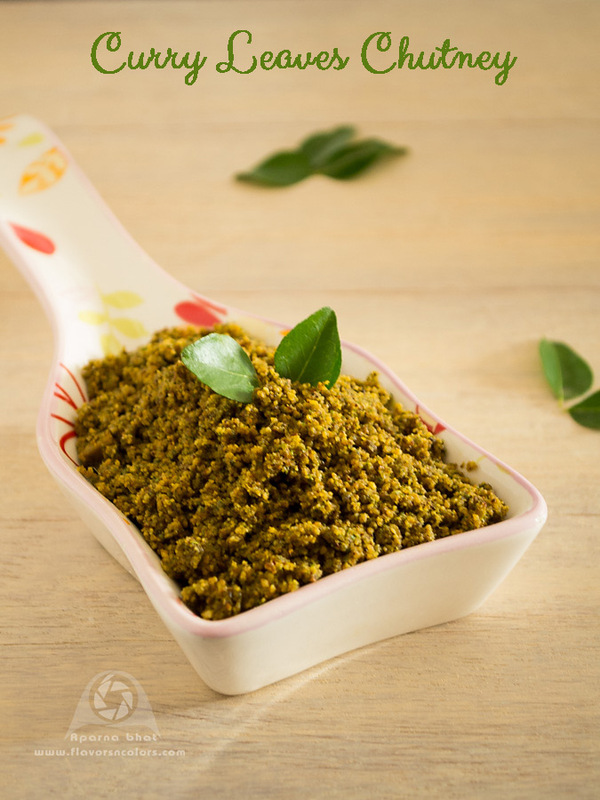 The below dry chutney powder is prepared from curry leaves that imparts a distinctive aroma and flavor to this chutney. Wash and clean the curry leaves separated from stems. Spread it over a piece of cloth. Allow it to dry. [You may dry roast these leaves which will turn light brown in color]. Once dried grind it to fine powder and keep it aside. Meanwhile, dry roast the desiccated coconut till it turns light brownish. Roast red chillies till they turn dark red. Next roast chana dal and asafoetida in dew drops of ghee. Keep the roasted ingredients aside and allow them to cool down. Once they cool down, take these roasted ingredients plus tamarind bits and salt and grind it to coarse powder. Lastly add fine curry leaves powder to this mixture in the vessel and blend it one more time. The podi is ready and can be served as an accompaniment to dosas, idlis, appos or you can even enjoy it with plain rice and ghee.